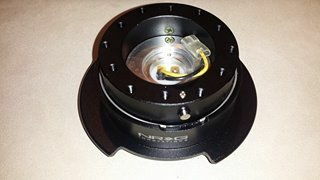 NRG quick release and NRG short hub for galant/1G Eclipse. Both are brand new in box. I also have a gen 2.5 quick release. $114.00 shipped. Just a heads up to anyone interested, I have the gen 2.5 on my car and it works great. good product for the money. #674/1000 760hp/630tq street car, broken transmission at the moment. Available to ship. Hit me up. Generated in 0.133 seconds in which 0.123 seconds were spent on a total of 14 queries. Turbo powered.